At the conclusion of the Bishkek Mountain Summit a final platform was declared. Continue to find ways to improve the well being and job prospects for people living in mountainous regions. To use the wealth of the mountain environment in a sustainable and sensible manner and to protect the ecosystem of mountains. Finally this Mountain Summit Platform should be used for further deliberations at the United Nations. Mountains are important to most regions of the world. Many people on earth depend on water from the snow pack on mountains. As the snow pack decreases so does the flow of water in the world's great rivers. An example is the Colorado River in the United States which formed the the Grand Canyon, a UNESCO World Heritage Site. While the Grand Canyon is not a mountain, "however some call it a reverse mountain", it is directly affected by the creation of the Rocky Mountains and the water that flows from these mountains. More importantly there are 10s of millions of people downstream on the Colorado River that depend on that water. The Global Mountain Summit was conceived to discuss issues like water, the use of conservation, and sustainable development to protect the welfare of the people living in lowland and mountain communities. 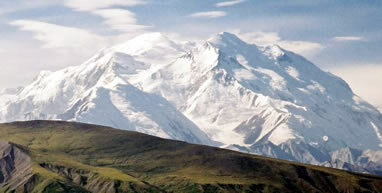 Mountains supply critical resources to many people around the world. This includes almost 1/2 of all fresh water the people drink. 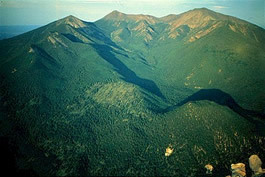 Mountains also include forests, food, minerals and vital reserves of biodiversity for the world. The challenge is how to protect and use these resources for the wellbeing of all the people they affect. The delegates of the Global Mountain Summit pledged to keep a long-run commitment to attain sustainable growth in mountain ecosystems. This includes reducing hunger and poverty, protecting the mountain's environments, providing economic fairness and promoting peace in many mountainous regions around the world. The delegates called for the United Nations and its member organizations to collectively commit their time and efforts to achieving the goals of this Global Mountain Summit which is the final global event during the International Year of Mountains.